As I write this, I've watched Johnny Gargano and Aleister Black wrestle three times this week. And all three matches were quite solid. What an amazing time to be a fan of sports entertainment, right? The match quality has never been better. Welcome to yet another NXT post-episode feature. There were only three matches on this week's show. But each of the three matches was extraordinary and by the end of the third, I had no alternative but to dub this episode a thumbs up show. Special kudos need to go out to the commentary team of Mauro Ranallo, Nigel McGuinness, and Percy Watson. Unlike the announcers in the main roster, these three men call the action in the ring and don't insert a million unnecessary plugs, dialling up the excitement as the match picks up steam. NXT is not a brand that insults your intelligence and for the same, I am quite glad. We saw Aleister Black in action on RAW and then again on SmackDown Live, this week. He defeated Elias on RAW and then Andrade on the blue brand, on two consecutive nights. He unleashed the Black Mass kick on both men and neither really stood a chance. 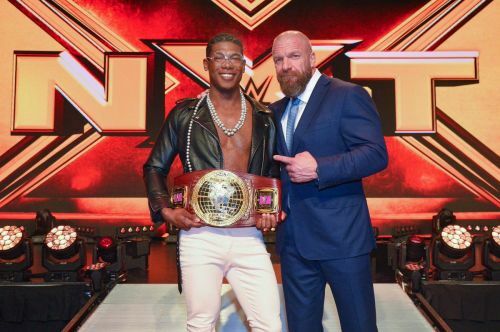 This week on NXT, he took on the 'Messiah of the Backbreaker' Roderick Strong and the two ring generals took each other to the limit with a spectacular showdown. While the match went the distance, yet another Black Mass would spell disaster for Roderick Strong. And then the rest of the Undisputed ERA would come out and destroy the Dutch Destroyer. This brought out Ricochet who would come to Black's side and chase out the heels. Ricochet and Black have formed an alliance in NXT, and one wonders if it'll extend to the main roster too.